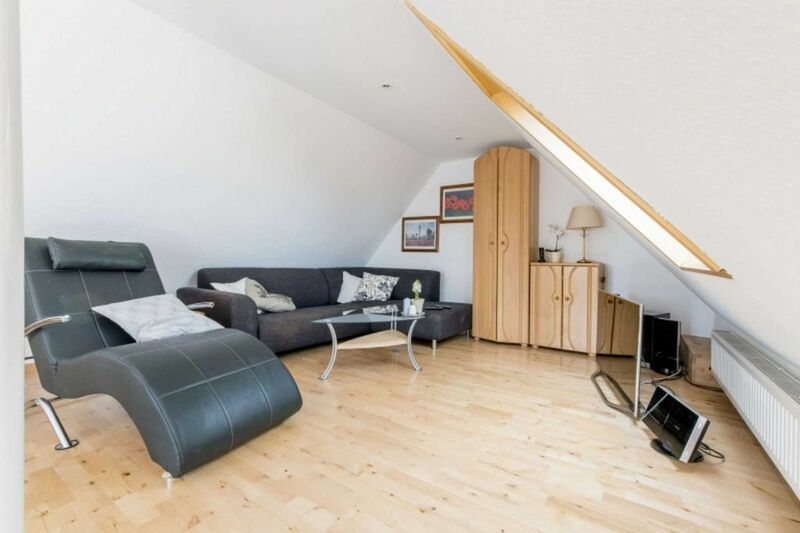 This cozy 30 square meter 1-room attic apartment is located in Pattensen, a suburb of Hanover. The city center can not be reached directly by train. You have to take the bus to the next station. There are two single rooms. Both the kitchen and the bathrooms are modern and clean. There is also W-LAN and a TV. Please let us know your arrival time in a timely manner. The keys are handed over on the day of arrival directly in the booked apartment / house by the landlord. Fresh linens and fresh towels are included in the final price. Free cleaning is available upon request at no extra charge. Unless the booked accommodation via wireless features, this is free for you. Living room with sleeping accommodation are counted as a bedroom. Please note that the apartments / houses are used by the owners normally own and be left only for the duration of the lease to your own use. For bookings of private rooms in apartments or in private houses, the accommodation is shared with the landlord. Near this building there is no subway stop. There may be a bus or tram stop is nearby. Timetable information is available under direct: efaDieses property is ideal for guests traveling by car.